Even 35 years after it was first released, Star Wars remains big business. From toys to games to artwork, posters and especially books, its Force remains strong. I surveyed fansites and blogs to find identify the 10 Most Significant Star Wars tie-ins amongst fans. As expected, not everyone agreed. But in no particular order, here are the books most commonly listed as the most significant of the very large bunch. 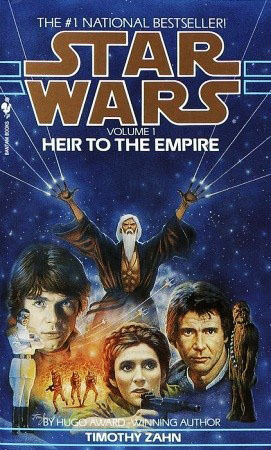 The Thrawn Trilogy by Timothy Zahn – Beginning with Heir To The Empire, this is the trilogy that made Star Wars tie-ins novels viable again. In fact, all of them released since have been New York Times Bestsellers. Widely publicized as the “sequels which were never made”, Zahn’s novels reignited Star Wars fandom and sparked a revolution in Star Wars literature. Zahn’s books are so good you actually forget you’re reading a book. It’s like going to the theatre for a new Star Wars film, the way you remembered it as a kid in the 70s and 80s (when it was actually good). Occurring 5 years after the original movie trilogy, Heir opens with the Rebellion, now known as the New Republic, still fighting to mop up final Imperial resistance and set up a functional government. Out in the fringes of the galaxy, the most brilliant of all the hand-picked Grand Admirals is gaining strength and preparing to attack the New Republic. After convincing a Dark Jedi to join his side, Grand Admiral Thrawn is confident of his victory. With Thrawn, Zahn has created one of the greatest villains in all of Star Wars and his books invented characters who have continued to dominate the Expanded Universe since. From Luke’s love interest and, later, wife Mara Jade, to Talon Karrde and Thrawn himself, Zahn characters have become mainstays. Also, Lucas himself adopted names like Coruscant for the Imperial capital which was coined here by Zahn. 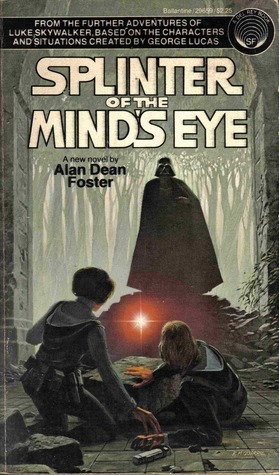 Splinter Of The Minds Eye by Alan Dean Foster – Not considered as important or well written by some as others, this still remains significant as the first ever tie-in to the series. Written by the author who ghost wrote the novelization for the original film, A New Hope, then went on to fame in his own right, it’s based on a story Lucas commissioned Foster to create as an alternative second film if 20th Century Fox had refused to give Lucas the budget for Empire. It’s early and so much of the tremendous lore that now surrounds the series is missing here, making it feel a bit out of place upon a reread from some of the more recent tie-ins set in the same period, but Luke, Leia, C-3PO, R2-D2, and Vader are here along with stormtroopers and a couple of lovable Chewbacca-esque aliens, too. Still one of my favorite childhood reads, it’s also the book credited with starting what is now commonly referred to as the Star Wars Expanded Universe. 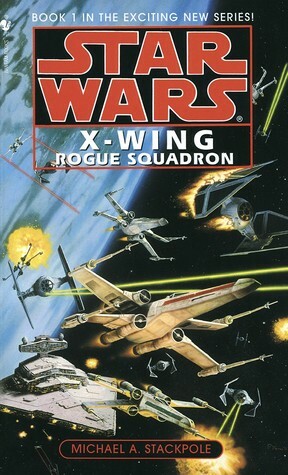 The X-Wing Series by Michael A. Stackpole and Aaron Allston – A ten-book series in which Stackpole focuses on the new Rogue Squadron led by Wedge Antilles and Allston focuses on Wraith Squadron, there are several arcs with an overall theme. Corran Horn again plays a significant role here as the stories move from the training and development of the squadrons to a planned invasion of Coruscant. Allston’s series began with the fifth book and has an elite squadron sent on secret missions whose primary foe becomes warlord Zsinj and his Super Star Destroyer, Iron Fist. Admiral Ackbar and other characters familiar from the films make appearances, too. 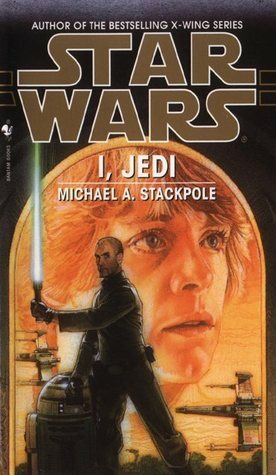 I, Jedi by Michael A. Stackpole – The first Star Wars novel written in the first person point of view of a character never featured in the movies, it focuses on Corran Horn, who must develop Jedi powers in order to rescue and save the life of his wife, Mirax Terrik. A member of the elite X-Wing force Rogue Squadron, Horn turns to Luke Skywalker for help and joins his new Jedi Academy on Yavin 4 to seek training for confronting the elusive Invid pirates who’ve kidnapped Mirax. The novel takes place around the same time as Kevin J. Anderson’s Jedi Academy Trilogy. Like the Jedi Academy Trilogy, I, Jedi is notable in that it provides a detailed, first-hand look at the training of a Jedi Knight. However, Stackpole’s work is considered superior for adding a context and logic to the storyline first presented by Anderson. 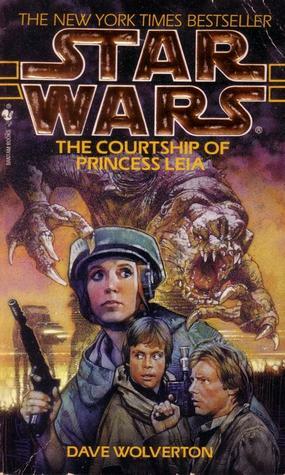 The Courtship Of Princess Leia by Dave Wolverton – Because of documenting the courtship of Han Solo and Princess Leia, whose marriage and progeny play a huge part in the later books of the Expanded Universe, this book is regarded as key to understanding much that follows in some ways. A 1995 bestseller, it deals with the downfall of the Warlod Zsinj seen in Allston’s Wraith Squadron books. With the sworn allegiance of a third of the galaxy, Zsinj is a major thorn in the New Republic’s plans to reunite the galaxy. Han Solo returns from leading the search for a long awaited reunion with Leia, only to find her being courted by a competitor, a prince. Driven to a frenzy of fear and jealousy, Han goes on a bender of sorts and then sets out to prove his worthiness to Leia. His plans go awry, of course, taking interesting twists and turns. Han Solo Trilogy by A.C. Crispin – Judged superior to the earlier Han Solo Adventures by Brian Daley, this series dug deep into the background of the lovable scoundrel. A prequel to the first movie, A New Hope, the series also brings Daley’s Adventures and The Adventures Of Lando Calrissian into context in the Expanded Universe timeline. Following young Han Solo from the moment he escapes the clutches of an evil criminal who’s exploited him from childhood, it traces his journey from there to racing ships and approaching the table in Mos Eisley Cantina where he meets Obi-Wan Kenobi and young Luke Skywalker. Along the way, he falls in love with a former slave turned Rebel Alliance operative, Bria, who sacrifices her life eto protect Death Star plans and get them to her leaders, thus setting in motion the events of the original movie trilogy. Best read alongside the Han Solo Adventures and Adventures of Lando Calrissian, not to be missed for Solo fans. 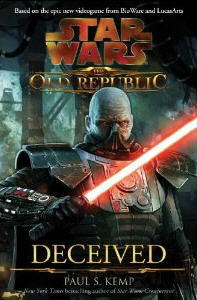 Old Republic: Deceived by Paul S. Kemp – A tie-in for the MMORPG Star Wars: Old Republic, Kemp writes a book that could have been a great read without familiar ties. He uses none of the famous characters and yet invokes the feel and pace of what readers have come to love about Star Wars. Deceived tells the story of Darth Malgus, the Sith Lord responsible for the sacking of Coruscant. Consistently praised as one of the best written of the tie-ins, alongside Zahn, the reigning king, this standalone is not to be missed by even casual fans. It’s a credit to Kemp’s gifts that Malgus is almost as sympathetic as the protagonist opposing him. One of my favorite Star Wars reads outside Zahn. 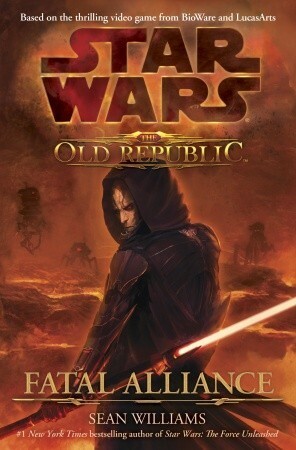 Old Republic: Fatal Alliance by Sean Williams is a prequel to the MMORPG game that debuted at #1 on the NYT Bestseller list. Representatives of both the Republic and the Sith Empire arrive for a major auction by a matriarch in the Hutt cartel. But it’s not the auction that interests them but its prize, sealed inside an impregnable vault: two burned chunks of an exploded star cruiser which may hold the key to the wealth of an entire world. When the truth is uncovered, with the whole galaxy threatened, Sith and Jedi must decide whether to continue fighting each other or join forces to survive. Using game characters but no one from the movies, Australian author Williams tells a commanding tale of the early years in the Expanded Universe. Bane Trilogy by Drew Karpyshyn – One of the Star Wars authors with the most science fictiony last name, Darth Bane first turned up in Terry Brooks’ novelization of The Phantom Menace prequel film. One of the most powerful Sith who ever lived, the story takes place 1000 years before A New Hope and its sequels. 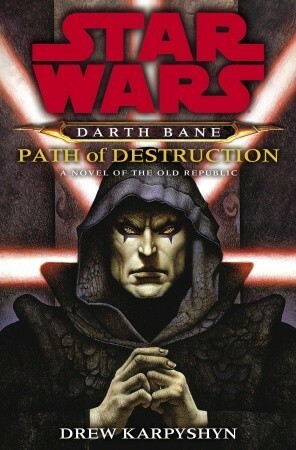 The three Bane novels, Path of Destruction, Rule of Two and Dynasty Of Evil, trace Bane’s back story as the son of an abusive alcoholic miner father to his father’s death and Bane’s escape and later enrollment in a Sith Academy where he learns to master his dark side gifts. 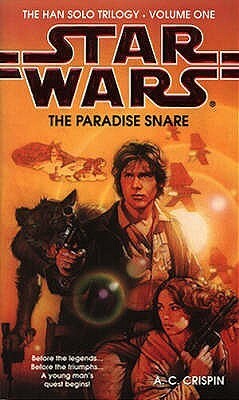 Along the way, his friendship with a young Force-sensitive girl, Zannah, turns from companionship to rivalry. If you’re a Star Wars fan looking to catch up on key tie-ins and have missed any of these, they’d be a good place to start. For science fiction fans who enjoyed the films but are not avid, these are highlights which might be enjoyable diversions when you get nostalgic for new stories in the classic universe and vein. Also October 6 is “Star Wars Reads Day” so maybe there’s one or two you missed. I’d replace ‘Courtship’ or the Han Solo Trilogy with ‘Republic Commando: Triple Zero’ or the Karen Miller novel ‘Clone Wars: Wild Space’. Otherwise that’s about how I’d choose my list too. @chrisw10 Another thing is, I really liked Daley’s Han Solo series, but again, fans seemed to rate Crispin’s as better and more important for helping fill out back story and set the Daley series in context on the timeline. @chrisw10 @BryanThomasSchmidt Blah. ‘Courtship’ is better than those; it was something of an homage to The Princess Bride and it definitely succeeded there. If it were replaced by anything it would have to be either ‘Cloak of Deception’ (which makes Episode I a whole different film in its context), or ‘Labyrinth of Evil’; ‘Dark Lord: Rise of Darth Vader’ would be fine too. Otherwise this is very close to my list through #7–but that’s just because I have not read any of the Old Republic books. @grailquestbooks @chrisw10 I have someone very upset that I include Splinter. I suppose it’s a crime to have an opinion these days but in talking with other science fiction writers, we all loved that book as a kid, and arguably there might not be an EU without that, as much as such can be said about Zahn, because the early books laid the groundwork Zahn built upon. Are some dated and out of place with later canon now? Well, yes. Hard to help. But that doesn’t negate their significance in the series or influence. I also think there are plenty of others which might have made this list. It’s a survey. It’s not mean to be a definitive list. That’s why I had such a hard time with the title of the post, which I’ve now adjusted to better fit my goals. But knowing fandom, people will bitterly argue this for weeks. Me, I have too much writing, reading, and editing to do. @BryanThomasSchmidt @chrisw10 ‘Splinter’ was fantastic. It gave us a glimpse at how the Star Wars saga could have been shaped if Gary Kurtz hadn’t been fired leading into Return of the Jedi. Bravo for including it! And the X-wing series–it had a great run and some of the best original storytelling since Stackpole and Allston had to do it without the Heroes of Yavin 90% of the time. No, this is a great list and a great place for folks to start if they’ve never read a Star Wars book since it covers pretty much all story-types and books that don’t require a ton of time investment. @grailquestbooks @chrisw10 Thanks, Josh. I have no plans to retract it. I like “Splinter,” too, and it captured the feel very well for its time much as Zahn did with his Thrawn books. I found it interesting that some of the books which made minor use of the regulars were among the most loved. I suppose from a character development stand point, though, that makes sense. I still can’t get over the killing Chewbacca thing of later series — a common complaint I saw, and since nothing truly bad can happen to the beloved core, they often wind up retreading old ground through story after story. That’s why Kemp’s work and even X-Wing are so significant. Minor characters like Wedge have so much blank canvass to play with that you can really stretch a lot more. @bryanthomass Interesting list… none of the Vong War books made it, and rightfully so. That whole series was a downer. @wrytersblockDH I was certainly impressed by it. Stackpole & Zahn were also mentioned in this way. Plus significance for ongoing arcs, etc. @Paulskemp You did a great job with that, Paul. It’s deserved. @Paulskemp I want to know more about what happens to Darth Malgus. @BryanThomasS I’d love to revisit him sometime. Events of the MMORPG complicate things. Never know, though. @Paulskemp capturesthe feel despite using new characters and such. I was glad to see that. @paulskemp Congrats on the inclusion, but I have SO MANY ISSUES with that list. SotME? CoPL? Crispin ‘judged superior’ to Daley? I can’t. @clubjade These are subjective things, obviously, so one person’s “Loved it” list is another’s “Worst ten” list. @paulskemp I get that, but CoPL/SoTME two are widely considered some of the worst books in the franchise. SoTME particularly. @clubjade Honestly, that’s part of what makes it fun. @clubjade I agree, this definitely isn’t the list for me. Too much Old Republic era, and most of the others are…meh. @wakingthedead17 It’s SoTME that puts it over the top for me. If it wasn’t there I’d just shrug. @clubjade there might be a sentimental value to SotME. That was first book I read so will always have a place on any of my lists. @Darth_Duff Yeah, I’m over it. I was such a brat yesterday. I heard a lot about Republic Commando, Chris, and about Karen Traviss. I just had a limited list and a hard time finding a consistent title from all the searches of sites. She certainly will be remembered for her contributions. Too bad she’s left the series. My main thing was that I wanted books that stood out for various reasons. “Splinter” for being first and a Lucas related vision more than most. “Deceived” for being so well written, which was consistently mentioned. Others for the parts they played on ongoing canon development and EU overall. No list can be perfect. I struggled with whether to call it “Best’ or “Most Significant” and figured some fans might nail me either way. @BryanThomasS @Paulskemp @DelReyBooks Nice piece Bryan. @kansasbard @BryanThomasS Hat top back at you. @BryanThomasS @JohnAnealio @Paulskemp @DelReyBooks Makes me want to read Star Wars books now! How on earth is Splinter of the Mind’s Eye one of the best the Expanded Universe has to offer?